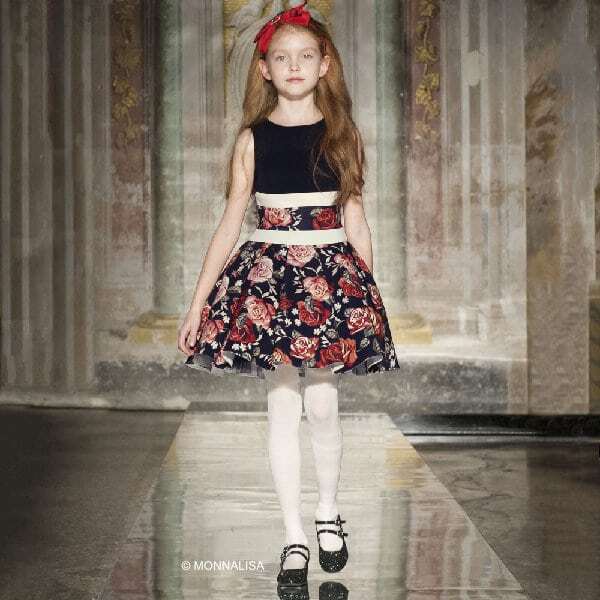 Gorgeous Monnalisa Chic girls sleeveless dress as seen on the runway at the Monnalisa fashion show at Pitti Bimbo in Firenze, Italy. 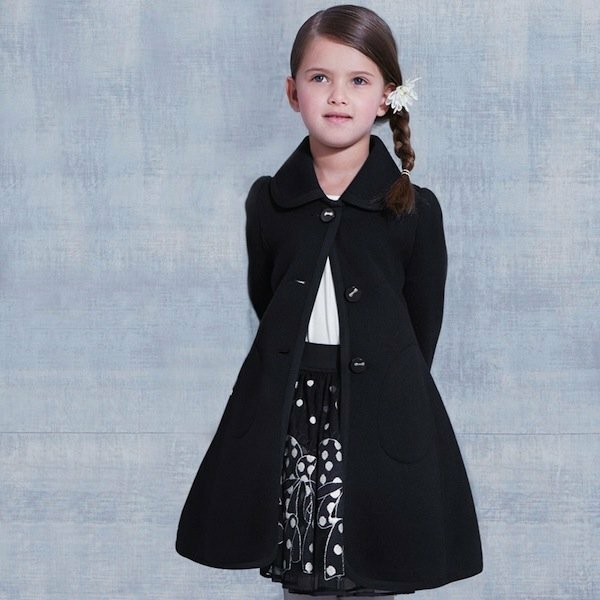 Made with soft neoprene, this beautiful dress is perfect for any special occasion. It has a dark navy blue bodice with ivory stripes, and features a panel of an elegant, tapestry-like floral print in red, orange, pink and green to match the skirt. The dress is perfect for spinning in with its full and voluminous skirt, pleats around the waist and layers of tulle frills attached to the smooth viscose lining. Complete the look with a pair of black patent leather shoes and red hair bow.